WE'RE BUILDING THE NEXT GENERATION OF REAL ESTATE AGENTS IN THE DC METRO AREA. ALL-INCLUSIVE TECHNOLOGY. WORLD CLASS MARKETING. CONSUMER CENTRIC BRAND. UNPARALLELED PASSION. COLLABORATIVE NETWORK. Our culture speaks to who we are, what kind of agent we attract, and how we are perceived by the consumer in our industry. What do brokers really need to partner with their agents and provide the best customer service they can. You need a complete set of services including client-centric marketing, comprehensive technology, automated systems and an inspirational culture. Our comprehensive proprietary platform puts the latest technology at your fingertips, all in one place. Our multi-faceted approach to training and support is designed to make things easier for today’s busy agent. And our all-inclusive model is affordable and flexible so agents can adjust their fees as the market conditions change. Claudia has worked in the DC area real estate industry for over 14 years. She’s watched the market grow, change and evolve, and has learned and adapted along the way. Claudia got her start as a local realtor, working with buyers and sellers and earning Top Producer status from the Northern Virginia Association of Realtors. She then moved to a corporate position in the investment property division of a leading developer that manages over 2,000 apartments in the DMV area. Most recently, as director of dispositions at a top hedge fund, Claudia helped build and manage her department and disposed of over $100 million in real estate in her first year. She earned her Master’s degree in Real Estate Finance and Development from Georgetown University. The future of real estate brokerage is a lean, efficient, and productive office with a great work environment and culture. We want agents to maximize their time growing their business in the best way possible: by increasing face time with their clients. And that’s why we provide agents the option of working in our office space or deploying the latest technology to go mobile. Our agents can access client information, create new listings, craft buyer offers, and much more at any time, from any place. You do not have to pay us to join our firm. We can’t believe this actually exists. Our commission structure is as simple as you can get. We offer two very generous compensation models: a traditional commission split or 100% commission plan. Our National Listing Distribution program trumps the MRIS listing syndication, allowing your listings to syndicate to hundreds of different websites and ensuring all photographs and content are consistent and of the highest quality. 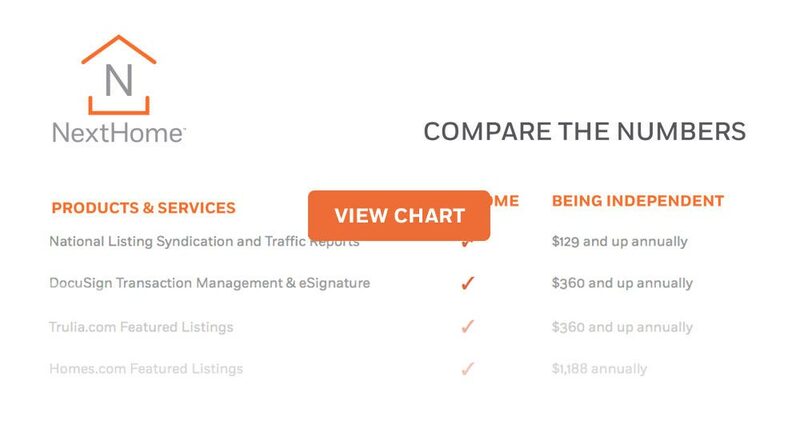 The power of our NLD program gives your listings unparalleled exposure to all key homebuyer web search sites and the best opportunity to sell your listings fast, for the highest price possible. We also offer our agents the option to change plans every six months. Why change plans you ask? One common reason is seasonal. During the slower winter season agents can go on the commission split. Then when the busy summer arrives, agents can switch to the monthly rate. Made with in DC Metro. Each office is independently owned and operated. Servicing the Washington DC Metro Area.